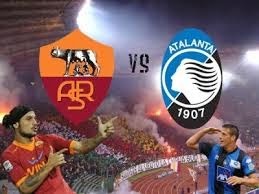 Roma is in good shape and is a serious candidate for second place in the standings and a place automatically Champions League after winning an important Torino away. The hosts have lost just one game in the last 20 games in Serie A and have recently won against Napoli (1-0). Atalanta was ranked 17, with seven points ahead of the relegation zone. Guests have ended last week series of 8 games without a win, winning Sassuolo (2-1), but this Sunday's opponent is stronger. Atalanta will play without Cristian Raimondi, Nicolò Cherubin and Gianpaolo Bellini, they are injured, and Mauricio Pinilla, Giuseppe Biava and Luca Cigarini are suspended.